Mr. Byford, the president of New York City Transit, wanted to put the system into operation by the end of the summer. But a limp to the finish is what he gets. It is expected that the system will not work until after Thanksgiving. In an interview this week, Mr Byford said the frequency of events at Citi Field, which is based on the 7, and the need to periodically test the new technology convinced him that speeding up the schedule would do more harm than good would cause. "I had to be pragmatic," he said. Mr. Byford's inability to put an end to the already-delayed project highlights once again the difficulties of modernizing the New York subway system. The new signaling technology, known as communication-based train control, will enable the Metropolitan Transportation Authority Perform more frequent services. It also replaces devices that cause a significant proportion of today's delays. However, the installation requires frequent shutdowns, often followed by delays due to upgrades. Carrying out such work on a system that carries 5.6 million passengers a day in a city that regularly hosts major events promises years of disruption and will undoubtedly call for more flexible timelines. In public forums, Mr. Byford refers to technology as the most transformative change the MTA can make. Until recently, the agency estimated that the modernization of the system would take up to 50 years. Mr. Byford has a plan to improve the most heavily used sections of five lines in five years. He wants to add six more lines over the next five years. Finding the billions of dollars needed for such an upgrade is a major challenge for the state-controlled MTA. And even if it clears the funding hurdle, Mr. Byford will face the technical challenge of installing the technology over hundreds of miles of track in a centuries-old system. The New York subway poses two problems that other systems of similar size in the world do not face. It is in operation around the clock and makes access to tracks difficult. Many of its trains also alternate between multiple lines, which means that systems installed by different companies need to be able to communicate with each other. 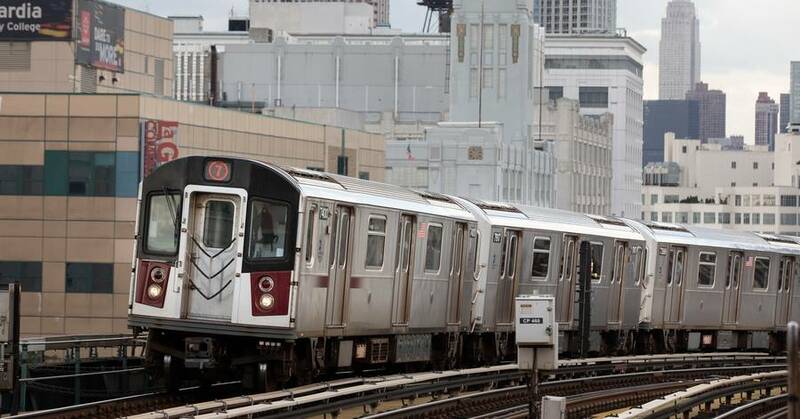 "It's the most complicated use of CBTC compared to anywhere else in the world," said Alan Rumsey, a consultant specializing in technology.
. Byford said he believes he can shorten CBTC timelines by simplifying some of the MTA's technology requirements. But he also warned drivers to expect extended service outages.
. Byford said the Javits Center had asked the MTA to reverse a decision on the closure of 7 over the Comic Con weekend in early October. But "we kept our cool" and a replacement bus service worked well, he said. A spokesperson for the convention center said, "the MTA went far beyond" to offer alternative services. Mr. Byford said that there would be tension and major disruption should the MTA push ahead with its modernization plan, which also includes the installation of elevators at about 180 stations. But "if we bring any single element of the plan to a standstill," he said, "then it really will fight from the start."